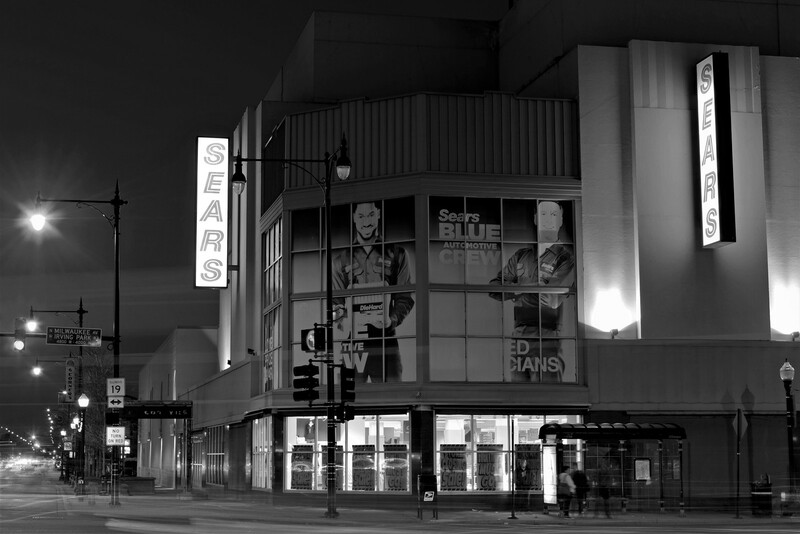 Sears at Irving Park and Cicero – an anchor of the Six Corners shopping district in Chicago. This was the ailing company’s last store within city limits, shutting down in July 2018, just shy of the store’s 80th birthday by about three months. Taken on a June evening as the store was undergoing its closing sales. The graphics covering what was built in 1938 as the largest window display in Chicago had been up since at least 2011, and were only partially legible due to severe sun fading — a testament to the current state of upkeep within Sears aging stores. For print inquiries please use the Contact form.